We have all the necessary safety equipment required to ensure a safe underground excavation. In addition to our impeccable reputation, we are fully insured, licensed, and bonded. Our staff is courteous and and responsive. 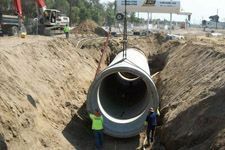 Whether a sewer repair, sewer replacement, sewer installation or water main repair, all work will meet or exceed code standards and you can rest assured of a top quality job every time.